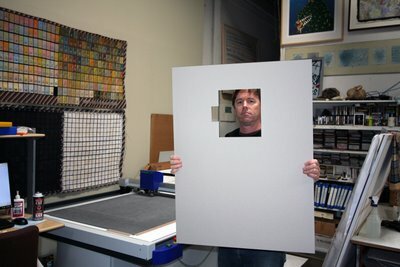 Bookbinder extraordinaire John Demerritt tries out the Gunnar 3001 automated cutting machine at Magnolia. 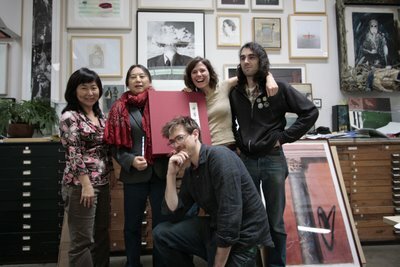 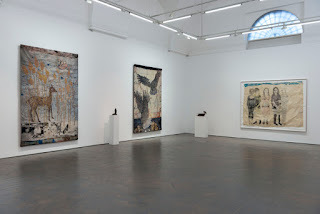 Era Farnsworth, Brian Caraway, Sam Bennett, Tallulah Terryll and Hung Liu with a completed Daughters of China portfolio. 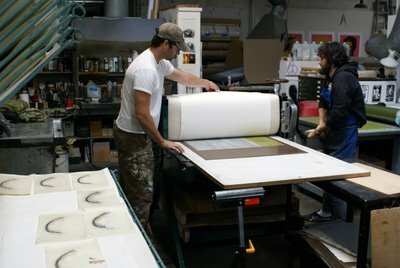 Sam pulls prints with artist Gary Blum.